Easter Seals Iowa Case Managers promote independence by proactively partnering with individuals and their families. We connect with services and supports to best meet every person’s unique needs. From achieving employment to securing housing, accessing healthcare to building a support system, our solution-focused, problem-solving professionals leverage individual and team strengths to reach each person’s goals. Our case managers are knowledgeable advocates who encourage hope, create space for change, motivate toward achievement and celebrate successes. The Easter Seals Iowa Case Management program, as a lead agency working on behalf of Polk County Health Services, welcomes a wide variety of children and adults with complex, multi-occurring needs. We foster an effective, integrated approach in order to fulfill our mission of ensuring everyone has an equal opportunity to live, learn, work and play in our community. 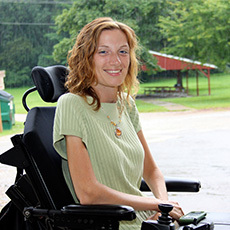 Case Management serves children and adults with disabilities in Polk and surrounding counties. Apply for this program by contacting Intake Coordinator Renee Bell at rbell@eastersealsia.org or calling 515-309-1783.